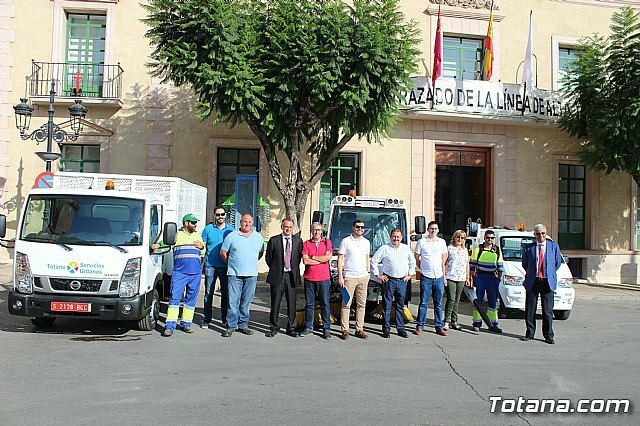 Municipal authorities and executive heads of the concessionaire of the service of street cleaning and collection of urban solid waste "Totana Urban Services Tarancón-Licuas, SL" in this municipality have presented the new machinery acquired to improve the provision of the same, whose investment is around 300,000 euros and has allowed the incorporation of three new vehicles with the latest technology. The mayor, Andrés, García, and the councilors of City Services and Urban Solid Waste (RSU), Víctor Balsas and Antonia Camacho, accompanied by the executives of the awardee of this service, have given an account of the technical characteristics of the new machinery that have been presented at the doors of the Totanero Consistory, in the Plaza de la Constitución. 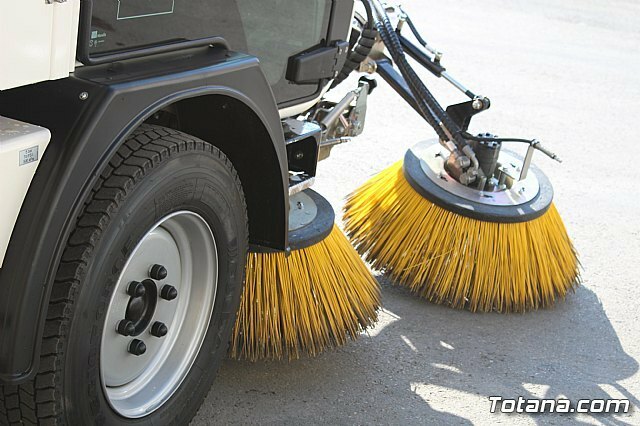 This is a lightweight vehicle for loading bulky or paperboard, a professional self-cleaning cleaner, a self-propelled sweeper for mechanical sweeping, an electric blower for mixed sweeping and a light truck. 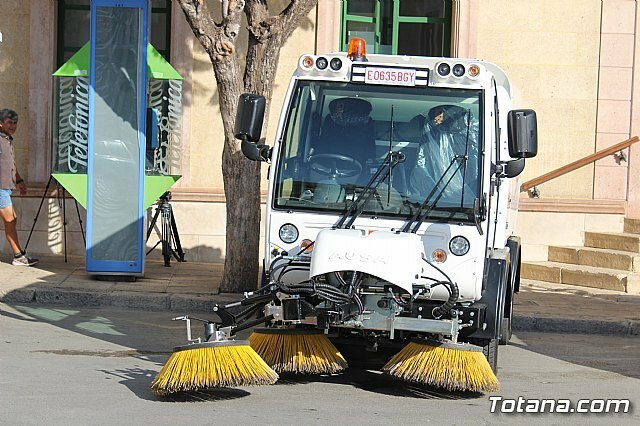 a state-of-the-art sweeper for more efficient street cleaning and a light truck for collecting paper and bulky items from public roads. The Councilor for City Services thanked the good willingness of the company with the municipal government to always meet the requests made for the progressive improvement of the service and has cited, as an example, the placement of 100 bins and the implementation of several crash plans for cleaning and excrement of pets on public roads. 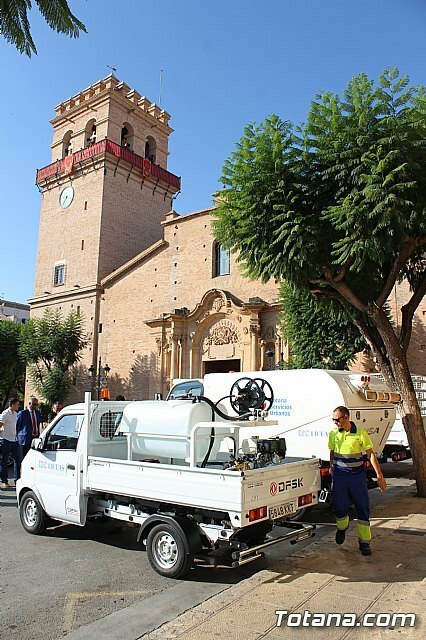 The mayor Balsas added that this new machinery of the latest technology means responding to requests for cleaning the municipality more quickly and effectively. and he has reiterated his thanks to the company for his collaboration in the improvement efforts promoted by the city council. and has advocated making correct and proper use of it so as not to spoil the public road. 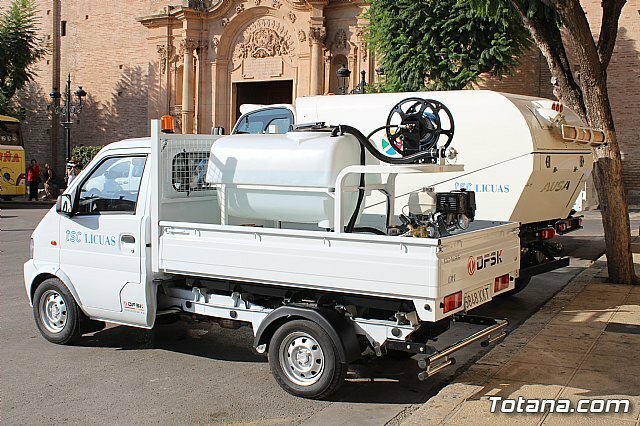 The manager of the company in Totana, José Domingo Tarancón, has shown his satisfaction to realize this investment that will benefit the citizens of the municipality because it is a "more efficient, silent and better suited to service and ergonomic needs and labor quality of the workers themselves. " and he has reiterated his gratitude for the trust placed in the company. and recalled that the beginning of this term with the company "were not very favorable because of the existing problems that were dragged by the defaults of before". and has advocated to increase citizen awareness so that "Totana is a cleaner and more respectful town using all the means that are being made available to users."